Q8-DEWANIYA: Drink Review: Caribou iced coffee. 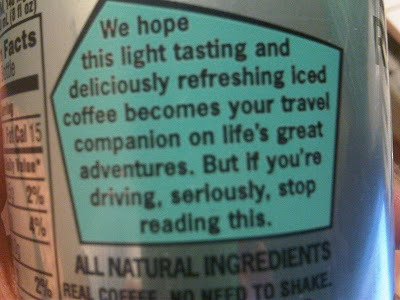 Drink Review: Caribou iced coffee. 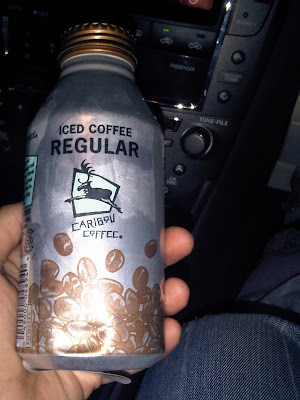 A great drink with an amazing taste, Caribou Regular iced coffee is a drink I like. 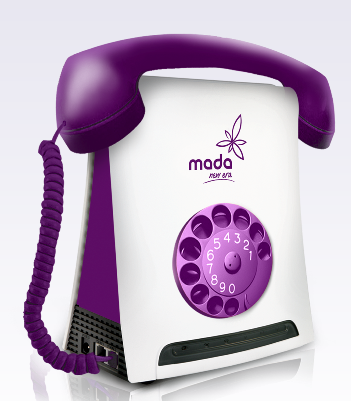 I didn't know about it until today while I was shopping at sultan center. It is a recommended drink for iced coffee drinkers. For me, it is tastier than Starbucks iced coffee. Now, what i really liked about the bottle is this note. Looool , never heared of the drink . Eeeee wallah looks waaaaaaay better than starbucks bas ebcham ? what about the calories, carbs and sugar ? it is good, trust me!